Bob has a degree in economics from Melbourne University, in history from University of London (first class honours) and a PhD in Sociology from Princeton University. 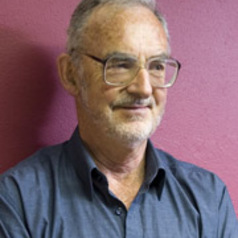 Most of his academic work has been at Monash University and since 1991 this work has focussed on running the CPUR. He has acted as an advisor on immigration issues to both Labor and Coalition governments and was a member of the Commonwealth Government’s National Population Council from 1987–1993. He is currently a member of The Australian Population Research Institute. Bob was joint editor (with Katharine Betts) of the quarterly demographic journal People and Place, published by CPUR up until March 2011 when the journal ceased publication.